It’s that time of month again! The 12 Months Of Slouchy Hats keeps going! Please help me welcome, Rhelena from CrochetN’Crafts! Laying flat it measures 9″ across by 8.5″ high. Extended Single Crochet (ESC): Insert hook in stitch indicated, yarn over and pull up a loop (2 loops on hook), yarn over and pull through one loop (2 loops on hook), yarn over and pull through both loops on hook. Rows 2-64: Ch 1, blsc in each st across. Turn. (8 sts) Continue with this row until you have reached a desired circumference to fit around head, and making sure to end in an even number of rows. Rnds 4-22: Rep rnds 2-3 ending last row at rnd 2. Rnd 23: Ch 1, 1 sc in same st as join and into each esc st around; join with sl st in first sc. Fasten Off leaving a 10″ tail. Weave tail end through last round made and pull tight. Weave tail end in to secure. Wrap the yarn over four fingers roughly about 100 times. Going in between the middle two fingers, wrap a double strand of yarn around the yarn and pull somewhat tight. Then cut along the sides of the hand and remove from hand. Take the double strand of yarn and pull it as tight as you can to secure all the loose strands. Trim down to desired size. Refer to this tutorial on making a pom pom. My name is Helena, but you can call me Rhelena. Crochet is one of my favorite pastimes as it keeps me occupied while relaxing me at the same time. Not only do I enjoy crocheting, but I also enjoy designing my own patterns. You can find my original designs at CrochetN'Crafts. 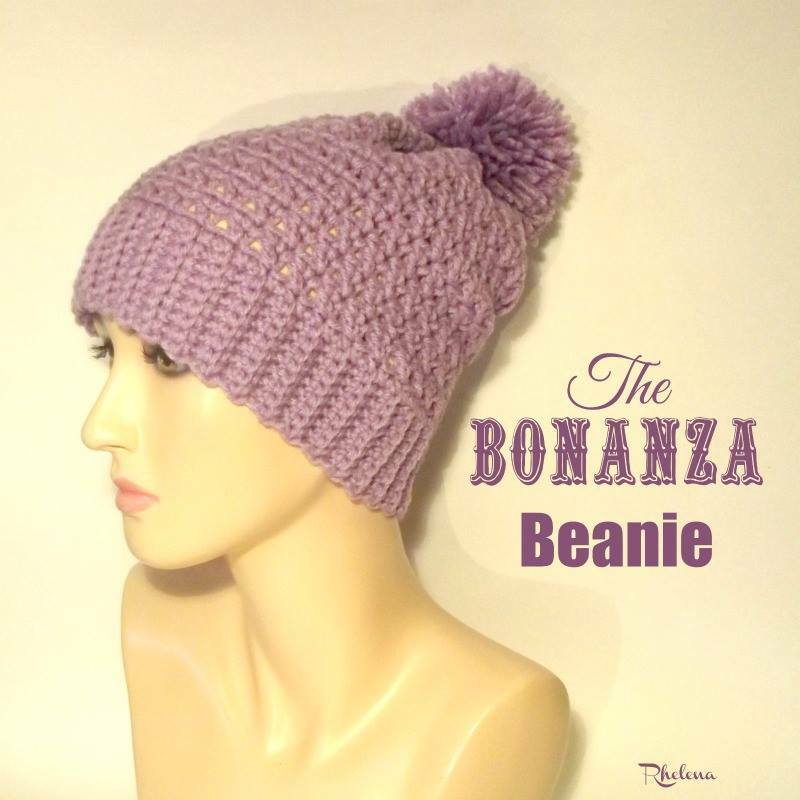 And when I'm not busy with crocheting and designing, I like to share my free crochet pattern finds on my directory: Crochet Pattern Bonanza.